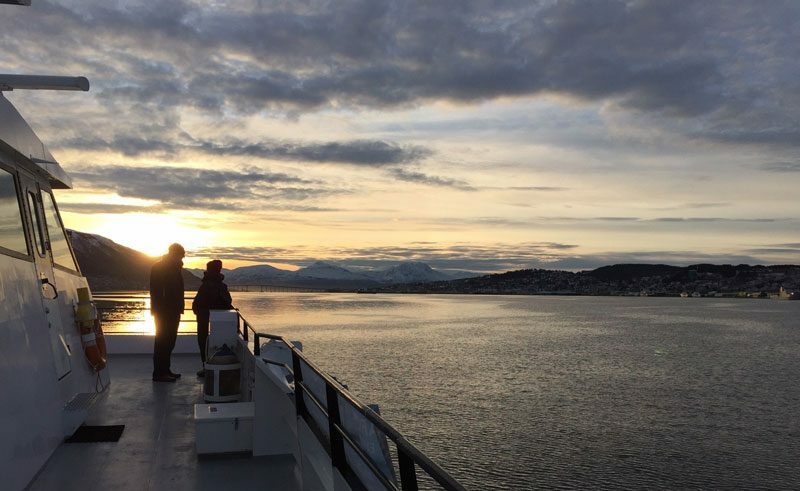 There’s nothing more spectacular than seeing orcas and humpbacks splashing around in their natural habitat, as our Scandinavia Travel Specialist, Kim, discovered while on a whale watching tour in Tromso. 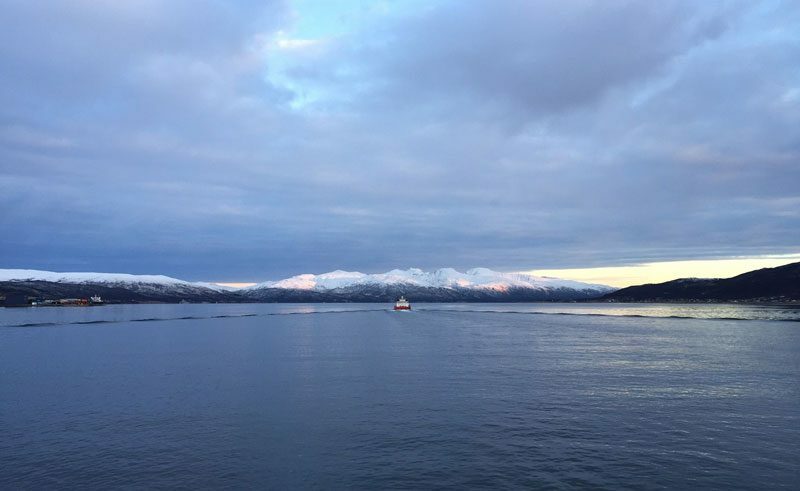 One beautiful November morning last year, I embarked on a whale watching trip from the bustling city of Tromso. The tour started at the Radisson Blu hotel, from which we were escorted to the harbour and onto a fairly large catamaran. 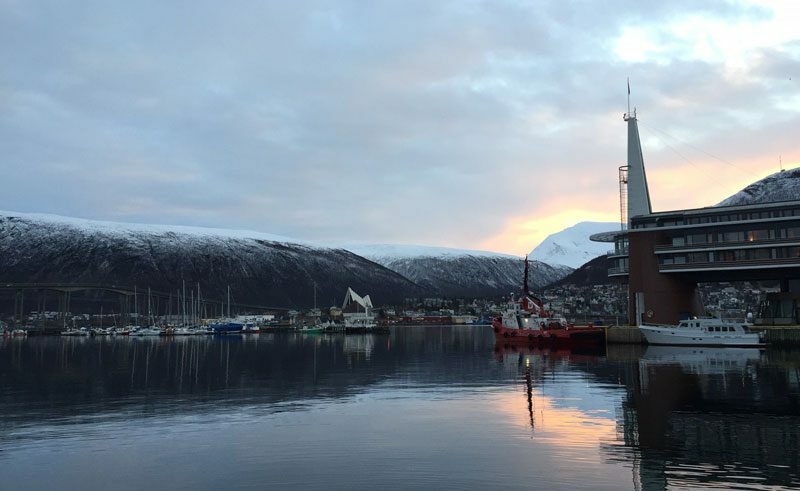 As the ship pulled away from the harbour we passed the beautiful Arctic Cathedral, watching the city from afar until we were called inside for a briefing session. The guide told us about the whales, including how to spot them and their behaviour. By this time, I was very excited, as were many on the boat. 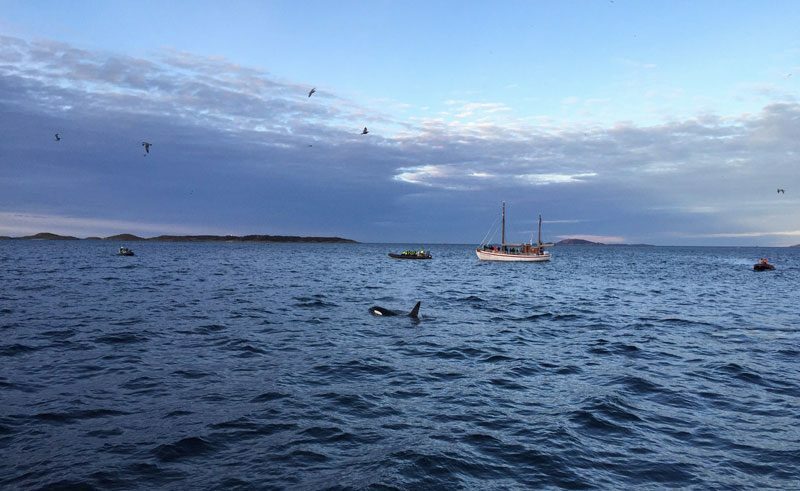 We were told that the whales had been spotted from late October to early February for the past 4 years and that we had a good chance of seeing both humpbacks and orcas. Within the first 30 minutes we saw our first orcas! The few people that were sitting inside rushed out and we watched them feed in the water. They were beautiful. We were with them for around an hour, but it felt as though it was five minutes – no amount of time could have been long enough. This is the first time I have seen them in the wild and it’s an experience I’ll never forget. After the initial excitement had washed over me, and most of our group had disappeared inside to warm up, I got some hot chocolate and went back outside to watch the world go by – it was heaven! Then, before I knew it, some humpbacks had appeared and the group once again hurried out! I have seen them before, but I will never get tired of seeing them again and again. We were joined by quite a few other boats this time, but everyone was respectful of each other and, more importantly, of the whales. The boat wasn’t overcrowded, possibly because we were travelling in early November, and this made the experience even better. My view was never obstructed and I was able to stay up and close while the whales were in sight. We were lucky with the weather too. While as cold as you’d imagine given the time of year, the sky was crisp and clear, allowing us to begin the day with the rising sun and end with a stunning view of the sunset; even on an iPhone I managed to get some stunning pictures. This alone would be a keen photographer’s dream! 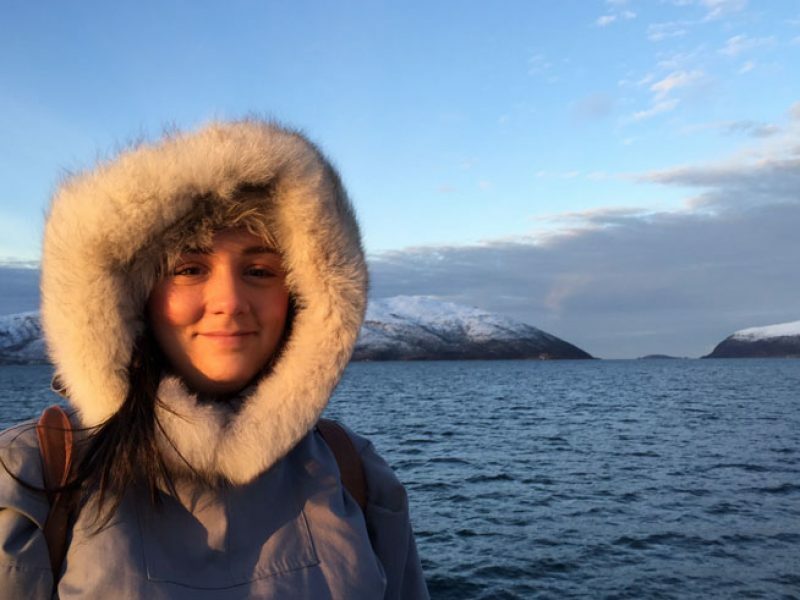 Get in touch Kim direct to start planning your own whale watching adventure in Norway or make an enquiry online.